There is no stopping the stakes action this weekend. The bulk of the features come on Saturday, Aug. 20. The Meadowlands will host a few prime events as it closes its summer run. Mohawk concurs with two traditional frosh contests’ elims to match the Meadowlands’ youngster events (finals next week). Also on Saturday, Saratoga Harness presents two stakes feature for elder pacers and trotters. By Sunday it is time for a lot of the season’s stars to appear at Chester Downs for Super Stakes Sunday, featuring the return of the undefeated See You At Peelers and many of the Hambletonian warriors from August’s first weekend. The Chester program on Sunday affords you 10X points on every dollar wagered through TwinSpires, so pump up the account with precious extras as you follow the magnificent miles featuring 2011 heroes and heroines. 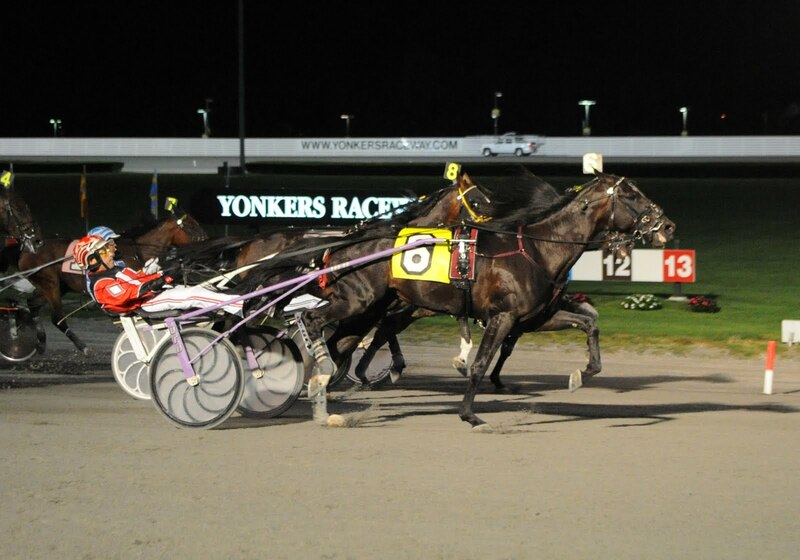 On Saturday, the Meadowlands and Mohawk are the scenes for a quartet of freshman pacing stakes for both sexes. The Meadowlands presents the finals of the Woodrow Wilson for boys and the Sweetheart for girls. There are giant favorites in the “Wilson” but, as usual, we want to look elsewhere, especially with freshmen. So, we’re looking for Allstar Legend to upset. This George Teague, Jr. student has only been out four times and has won once. Still, he is the third highest money earner in the selected field. Team Teague has been hot, as well, so there is no reason to feel this youngster isn’t ready to take the big money. In the Sweetheart we have to go, again, with Bettor B Lucky. At Mohawk, frosh pacers meet in the Nassagaweya (colts) and Eternal Camnation (fillies) elims. For the colts there are three splits. In the first, Shakerattlenrock, a full brother to Pretty Katherine, comes from the Rocknroll Hanover lot and is primed to be on target for a win. Next, Special Blend is by The Panderosa and is imbued with much speed, enough to wire these green colts. He was second at 19-1 in the Dream Maker. Finally, Fenian Hanover should feel at home where his sire, Mach Three, was best at two. D Terminata is a horse to watch. He almost beat Shakerattlenrock in a two-year-old event on August 12. He may be the best horse in this field. The fillies go in two miles, with American Jewell bound to race huge in the first and Bound To Rock poised to go to the final with a win. Sunday, Aug. 21, Chester Downs’ Super Stakes Sunday offers a half-million dollars in the Battle of the Brandywine for glamour-boy pacers and another 500 grand for the Hambo crowd of trotters in the Colonial Trot. The “Battle” brings together some of the hot pacers from the season’s first half. We still like Custard The Dragon, as he always comes through at a good price against the likes of these but we also like Alsace Hanover this time around, though he may not bring the win money “Custard” should offer again. Perhaps these two can combine for a decent exacta, especially if Roll With Joe is third or worse (he will be bet heavily). In the Battle’s first consolation, Shadyshark Hanover looks best, even coming off a disappointing race after his giant speed mile on Hambo day. In the second consolation Lookinforadventure deserves another shot. We gave up on him a while back but he seems to have some moves left yet and could pay well. The Hambo redux has a twist—Dejarmbro is back to meet foes he could not face in the August classic. Hambo-winner Broad Bahn will try to record a rare double (winning the Hambo then the Colonial) and Hambo-favorite Manofmanymissions (easy winner of the sires stakes final last week) tries to stay flat again and redeem himself with this challenging group. The only Colonial consolation we like is the one with Charlie De Vie and Fawkes. “Charlie” was good again last out, though finishing third, and could offer overlay status. Fawkes broke in the Hambo but was great in his elim. These two could deliver a healthy exacta either way. In the $350,000 Valley Forge for soph-filly pacers, See You At Peelers hopes to make it nine for nine this season. She has handled all of these gals before so don’t expect much from them; it’s a good fan race, cheering for the streak. As a key, though, use her with Idyllic and What’s New Pussycat. The two “Valley” consolations, however, could be valuable investments. Pretty Katherine was a great overlay last week when we had her in an exacta with Myluvmylife. That one isn’t here, so “Kate” could do all the damage. Rocklamation could ignite the exacta. In the other consolation, Rockratese should prevail. 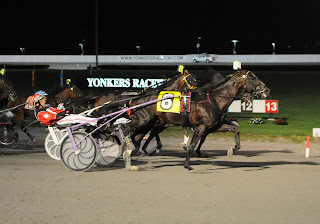 Saturday, Aug. 20, the tried-and-true FFA pacers meet in the $523,000 “Haughton” at the Meadowlands. Try to beat We Will See, the obvious favorite after two wins here with the old stalwart Foiled Again. This Ron Burke-trained veteran has not made his last statement for the season and could be huge here and offer a rare double-digit price. Alexie Mattosie could also be in the exotic mix. Pacing mares return for the $235,750 Golden Girls, where there is no way we get off of Rock N Soul. She was huge on Hambo day and loves this track when the big money is on the line. Also, Anndrovette could be back on her best behavior now that the purse is thick. At Saratoga some familiar New York favorites go to war in the Joe Gerrity, Jr. Memorial for $129,250. It’s a good event for Go Go Solano to finally pop a win. He has been knocking at the door for a while and gets a good spot here with Real Nice having to deal with post 8. Gallant Yankee is also a threat. The August Fun Final is the co-feature and some of the best Open trotters in New York are here to joust. One of them is Grain Of Truth. 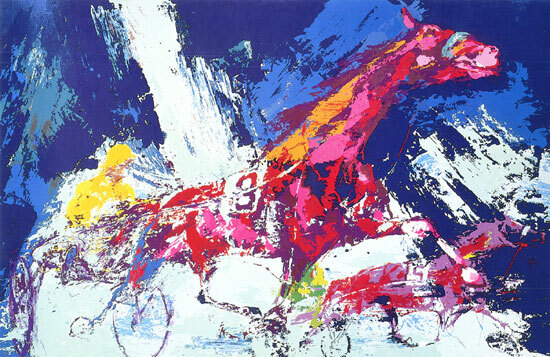 He mainly competes in New York and sometimes ships to Pocono Downs. Coach Fox and T Js Mr Lavec also compete on the New York circuit. The Schnittker entry of Grain Of Truth and Winning Fireworks will be heavy betting interests in here. Lorenzo Dream may get some betting and is the horse to watch. He regained 8 lengths in the third leg and came out victorious. The race may set up for him.